If you are like most people, you have had at least one instance where you have dented your car. No matter what the cause, dents and dings can detract from the overall beauty of your car and decrease its value. Our skilled technicians at Cardiff dent repair can repair those eyesores and save you time and money. Dent repair is a highly specialised skill and our experienced technicians have completed the intensive training necessary to repair dents and dings properly. There are a variety of tools used to repair a dent and our Cardiff car dent repair mobile technicians have those tools available in their service vehicles. Our specialists will come to your home, work, or anywhere else that is convenient for you – all we need is access to power point and space to park our mobile workshop. Simply phone us for a complimentary quotation. 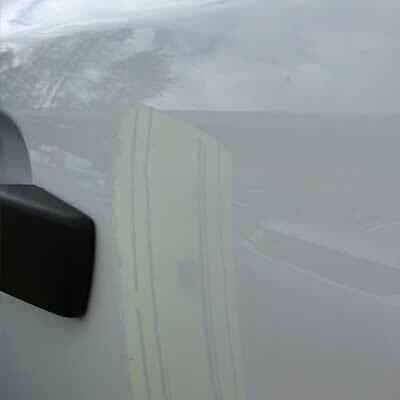 Paintless dent removal (PDR) is the process of repairing dents, dings, and creases by manipulating the metal skin of the car, It’s not an easy task. 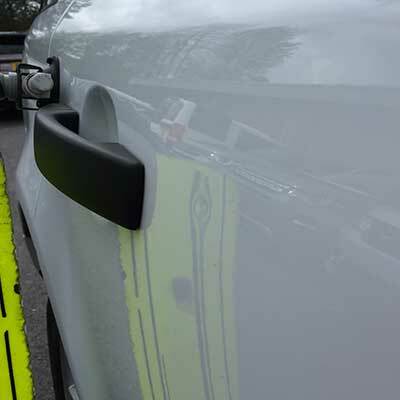 Our dent repair technicians know how to use specialised tools to massage the metal and leave the damaged area looking as good as it did before the damage. There are many myths about removing dents – plungers, suckers, and dry ice, for example. These are not effective and can end up doing more damage than good to your car. Our experienced technicians will work from behind the dent and slowly work the metal back to its original shape. There is no sanding required; nor is there a need for fillers or repainting. This type of dent repair will allow the factory finish on your vehicle to remain intact. This is very important when it comes to your car’s appearance and value. Our mobile car dent repair services are available to everyone; however, we do frequently perform repairs for several dealers, including Volvo, Vauxhall, Peugeot, Land Rover, Jaguar, Ford, and Aston Martin. Our services are also frequently requested by insurance companies, body shops, and rental/fleet companies. Our private customers want to ensure their vehicles look fantastic and that the value of their investment remains high. 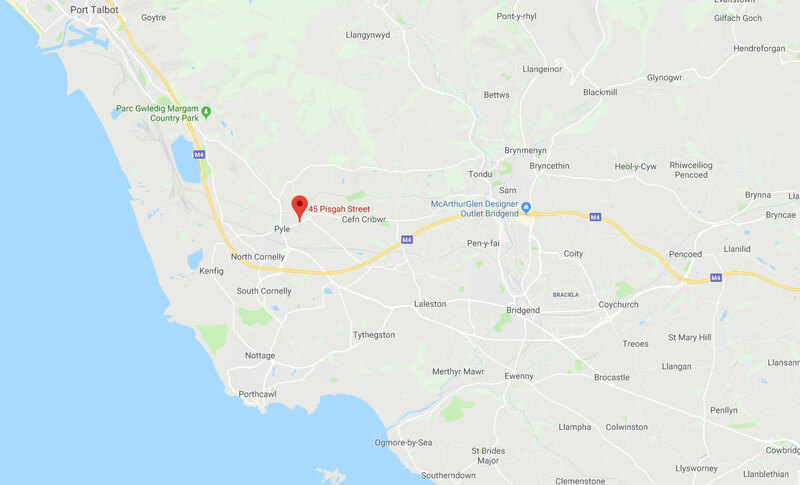 Over the years, our Cardiff dent repair technicians have saved our customers many thousands of pounds over traditional body shop repairs. Our mobile car dent repair service is very popular with those who lease their car. Even minor damage like a dent or ding can add a lot to the final leasing bill. We are able to save you money when your return your car because our repairs are not noticeable. Once our experienced technicians are finished with the repair, you won’t be able to tell where the dent was. This is just one of many things that set our dent repair service apart from other similar companies. Each repair is completed with the same high standard of professionalism. Our mobile service technicians are professional, courteous, and prompt. If you are ready to have your car looking its best once again, phone us today to receive a complimentary quote.